This short story starts out strongly: The witty banter is, so far, the best and wittiest to date. Ellery is, of course, out of the city, visiting an artists’ colony. The reader is quickly drawn in to the story, which is filled with interesting characters. Unfortunately, the cousins eventually realize they are supposed to introduce a mystery plot, and the enjoyment falls apart. This short story was one of the few published pieces of the year. The short story appeared, as “The Gramaton Mystery,” in American Calvacade (September, 1937). 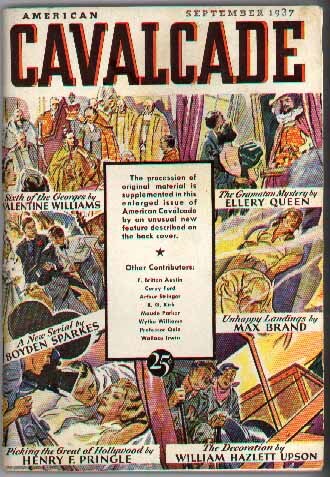 (American Cavalcade was a new magazine, begun just the previous May, and which would release it’s last issue in November, 1937). The cousins were in Hollywood, ghost-writing scripts, and seeing their novels turned into horrible films. 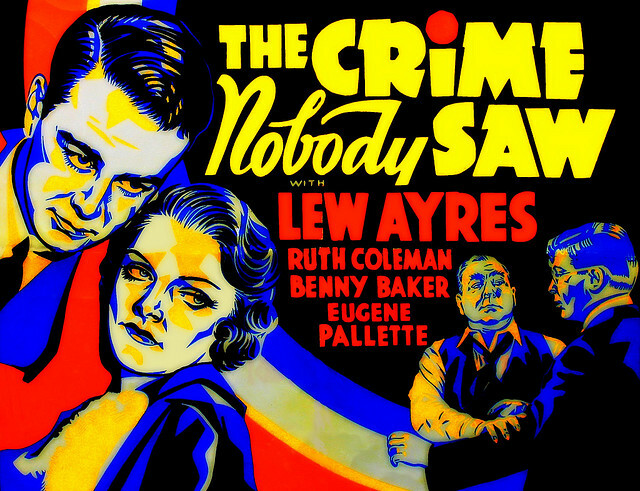 The stage play they wrote a few years earlier was even turned into a movie, aptly named The Crime Nobody Saw. The benefit of their time in Hollywood would be the next few novels, which all take place in Tinseltown.